Google Inc. has issued a formal statement against Microsoft and Apple on their official blog today, stating that the two companies have joined up to battle against Android using the power of patents. A little history lesson is in order: Apple and Microsoft both have been on suing-sprees lately, suing the likes of Samsung, Motorola and HTC – all three being the top Android smartphone vendors – for infringing upon a wide variety of patents ranging from how their software works and how their hardware looks. Yes, Apple sued Samsung for blatantly copying the iPhone and iPad with their Galaxy S and Galaxy Tab products. The fruit company later sued Taiwanese smartphone manufacturer HTC for infringing upon ten of its patents and, as such, Cupertino seeks to stop HTC from selling its phones in the United States of America. Microsoft, on the other hand, takes $15 per handset from HTC for using different patents. 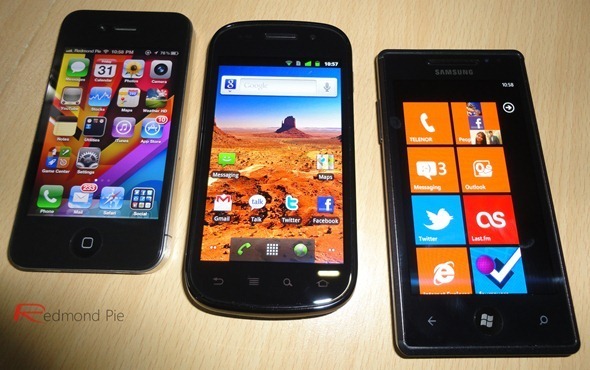 As a matter of fact, the folks up in Redmond make 5 times more money from Android than they do from Windows Phone 7! A stern blog post from David Drummond (Senior VP and Chief Legal Officer at Google) was published on Google’s official blog today. Drummond states that Microsoft and Apple have teamed up for an “organized campaign” against Android. The two companies, according to Google, are making it harder for Android smartphone vendors to continue manufacturing phones with so many lawsuits. Patents were previously used to encourage innovation, now they are being used a weapon to stop it, says Drummond. This, Drummond notes, is all because of Android’s explosive growth. The platform is currently seeing 550,000 activations per day with over 39 manufacturers and 231 wireless carriers from all over the world. Google is confident that that the patent portfolios that were snatched up by Microsoft, Apple and other companies will be taken under notice by the law and that “this patent bubble will pop”. 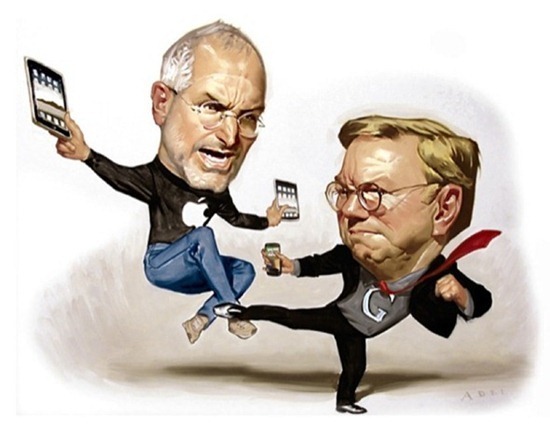 A couple of weeks ago, Executive Chairman Eric Schmidt categorically stated that Google will not let HTC lose the lawsuit that Apple has filed against them. Today’s news seems to be the first steps into Google’s efforts to fulfill their promise. What are your thoughts on these “patent wars” that all the smartphone manufacturers and mobile OS companies are currently busy in? We look forward to your thoughts in our comments section on Facebook!